I was born in 1978 in Paris, and grew up in a small village in a natural landscape in the Paris suburbs. As far back as I can remember I’ve always been interested in animals, primarily underappreciated species like amphibians, reptiles, and invertebrates. I spent all of my time in the forest and in ponds looking for frogs, newts, snakes, and spiders. Early on, I used captivity as a way to observe and contemplate these shy and secretive species. I constructed my first terrarium at nine years old and have continued until today. Early in my schooling it was clear that my personal and future professional life would be dedicated in one way or another to gaining knowledge about, and working towards the conservation of reptiles and amphibians. To me, research and conservation requires a necessity for team work and collaboration with other zoos, scientists, local or national associations, and sometimes private keepers too. 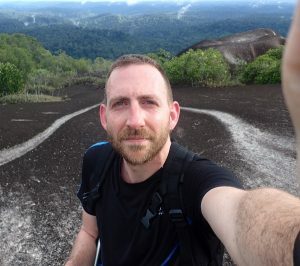 At thirteen years old I decided to ask a reptile and amphibian lab director, Professor Alain Dubois, if I could gain work experience in his lab. He was very surprised to see this young boy asking to join his lab, but he eventually accepted. This was my first step in the world of amphibian research. In the following years I continued to be involved with the lab during my studies and had the wonderful opportunity to participate in the description of two new species of anurans in Vietnam. (Ohler, A. & Marquis, O. & Swan, S. & Grosjean, S. (2000): Amphibian biodiversity of Hoang Lien Nature Reserve (Lao Cai Province, northern Vietnam) with description of two new species.- Herpetozoa, Wien; 13 (1/2): 71 – 87). All of the choices I made during my high school and university studies were directed towards subjects of animal biology and ecology, and when possible, to reptiles and amphibians. I eventually received my PhD with Prof. Claude Miaud (University of Montpellier), focused on studying local adaptations to UVb radiation in high altitude frog populations. After one post-doc appointment on population dynamics of lizards and two years of teaching at university, I decided to leave the university. In 2008, I had the opportunity to create and direct the first French training centre in herpetology and herpetoculture for private and professional keepers, scientists, vets, firemen, and all people who were interested in, or had to work with reptiles and amphibians and needed theoretical and practical training. In 2012 I heard about the reconstruction of the Paris Zoo, and a project to develop a totally new reptile and amphibian collection plan. Since the Paris Zoo belongs to the National Museum of Natural History, they were looking for a new curator with zootechnical and research/conservation experience to manage the species collection and develop in situ and ex situ conservation and research projects. I applied for the position, eventually got the job, and officially started my role in August 2013. Because the Paris Zoo had never had any amphibians or reptiles in its collection plan, I assisted in the construction of completely new vivariums, and the off exhibit part of the vivarium until April 2014. Since then, I’ve been able to find time to discover how zoos work in research and conservation and have become involved. In 2014, Gerardo Garcia from Chester Zoo, Chair of the Amphibian Taxon Advisory Group (ATAG) of the European Association of Zoos and Aquariums (EAZA), and Warren Spencer from Artis Zoo, vice-chair of the ATAG, offered me an opportunity to join the team as second vice-chair of the ATAG. I am not alone in my work in research and conservation at the zoo. To me, research and conservation requires a necessity for team work and collaboration with other zoos, scientists, local or national associations, and sometimes private keepers too. As I’ve been a private reptile and amphibian keeper for more than twenty-five years, and I’m now working in a zoo myself, my goal is to make captivity a tool for gaining support for research and conservation. Some of my past contributions to amphibian conservation were the financial support of the National Bd (chytrid) survey in Madagascar and also financial support for the survey of the invasive species Duttaphrynus melanostictus in Madagascar via the Amphibian Survival Alliance. Prof. Claude Miaud, Dr. Norin Chai (from La Menagerie du Jardin des Plantes, Museum of Natural History of Paris) and I also initiated a national screening of Bd occurrence in amphibian collections in French zoos. An example of one of my conservation projects that’s still in progress is the conservation of Ichthyosaura alpestris reiseri, a subspecies of alpine newt endemic of one lake in Bosnia and Herzegovina, and suspected to be extinct in the wild. It’s a really nice project that involves the Bosnian Herpetological Society (Emina Sunje from ATRA association) for the field components, and Paris Zoo and some private keepers (Jean Raffealli from the French Urodela Group) for the ex situ part of the project. 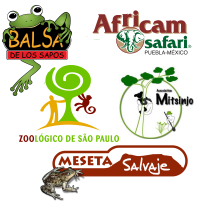 My future goals are to continue to initiate, support, and/or collaborate on studies about European, Malagasy, and South American amphibian species with the support of Paris Zoo and the ATAG. 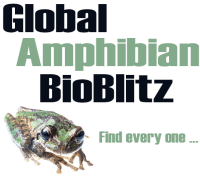 I do not consider myself an expert on amphibian research and conservation, and my personal goal is to improve my own knowledge and skills to be able to continue to contribute to the world of amphibian knowledge and conservation.